In a major win for India, the International Court of Justice today directed Pakistan to take “all measures at its disposal” to prevent the execution of Mr. Kulbhushan Jadhav, pending final judgment. In the unanimous decision, the Court instructed Pakistan to inform it of all measures taken in implementation of the order. At the outset, the Court headed by President Ronny Abraham began by ruling that it has prima facie jurisdiction under Article I of the Optional Protocol. Article I provides that the Court has jurisdiction over “[d]isputes arising out of the interpretation or application of the [Vienna] Convention”. The Court noted that the parties have differed on the question of India’s consular assistance to Mr. Jadhav under the Vienna Convention. It further noted that the acts alleged by India, i.e., the alleged failure by Pakistan to provide the requisite consular notifications with regard to the arrest and detention of Mr. Jadhav, as well as the alleged failure to allow communication and provide access to him, appear to be capable of falling within the scope of the Convention. The Court further observed that the existence of a 2008 bilateral Agreement between the Parties on consular relations does not change its conclusion on jurisdiction. The Court then ruled that the “rights alleged by India are plausible”. It observed that the rights to consular notification and access between a State and its nationals, as well as the obligations of the detaining State to inform the person concerned without delay of his rights with regard to consular assistance and to allow their exercise, are recognized in Article 36, paragraph 1, of the Vienna Convention. Further, noting that there exists a risk of irreparable prejudice and urgency, the Court observed that the mere fact that Mr. Jadhav is under a death sentence and might therefore be executed is sufficient to demonstrate the existence of a risk of irreparable prejudice to the rights claimed by India. It further noted that Pakistan had given no assurance that Mr. Jadhav will not be executed before the Court rendered its final decision. In such circumstances, it was satisfied that there existed urgency in the present case. It then went on to notice the establishment of link between the rights claimed and the provisional measures requested, observing that the measures requested are aimed at ensuring that the rights contained in Article 36, paragraph 1, of the Vienna Convention, are preserved. In his Concurring Opinion, Judge Trindade emphasized on the link between “the right to information on consular assistance with the guarantees of the due process of law” set forth in the instruments of the International Law of Human Rights (ILHR). Commenting on the nature of provisional measures, he observed that even though the proceedings in contentious cases before the ICJ keep on being strictly inter-State ones, this in no way impedes that the beneficiaries of protection in given circumstances are the human beings themselves, individually or in groups. While agreeing with the decision of the Court, Judge Bhandari concluded that a clear case had been made out for indication of provisional measures under Article 41 of the Statute. He further observed that on a preliminary examination of the facts, the basic human rights of Mr. Jadhav have been violated by not allowing India to have consular access to him after his arrest and during the pendency of the criminal proceedings against him in Pakistan. 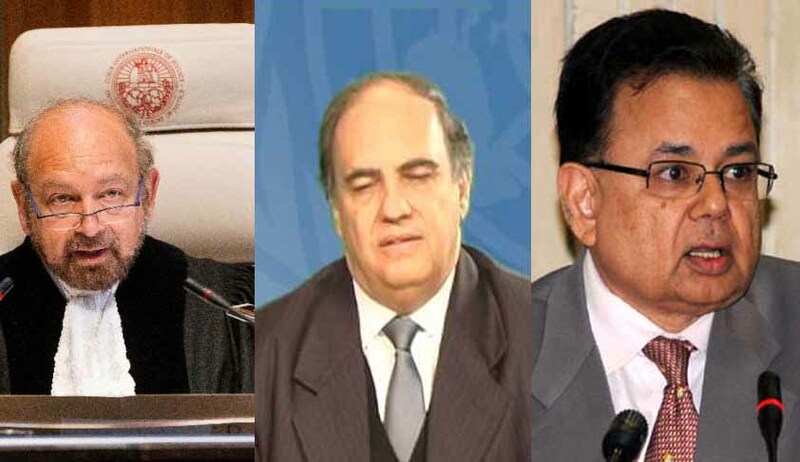 In the Appeal, India has accused Pakistan of “egregious violations of the Vienna Convention”. It has contended that it was not informed of Mr. Jadhav’s detention until long after his arrest, and that Pakistan failed to inform him of his rights. It further alleges that, in violation of the Vienna Convention, the authorities of Pakistan are denying India its right of consular access to Mr. Jadhav, despite its repeated requests.